Lumbar epidural steroid injections are a common form of nonsurgical treatment for pain in the lower back. The procedure was first documented in 1952 as an alternative method for treating lumbar-related pain and sciatica. Today, this widely used method of pain management is reported as an effective, minimally invasive technique for controlling back and radicular pain by the North American Spine Society and the United States Department of Health and Human Services. The goal of a lumbar epidural injection is to reduce inflammation in the affected nerves with a steroid medication. Successful injections may reduce pain in the lower back area and concomitant symptoms, such as tingling, numbness, and pain in the legs. Lumbar epidural steroid injections have the dual function of providing therapeutic as well as diagnostic benefits. It can be reasonably assumed if an injection relieves lumbar-related pain, then inflammation was involved. Depending on the results of the injection, doctors may choose to prescribe physical therapy, future injections on a later date, or a surgical evaluation if the injection failed to produce the desired results. 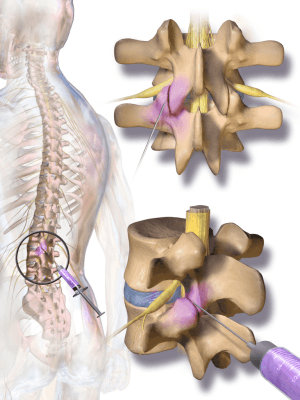 How Is a Lumbar Epidural Steroid Injection Performed? The patient is placed on an x-ray table and the skin is sterilized and prepped for the injection. If IV sedation is used, vital signs such as blood pressure, heart rate, and breathing will be monitored throughout the procedure. Once the skin is sterile, a local anesthetic is used to numb the skin prior to the injection. Next, the physician uses a special real-time x-ray, known as a fluoroscope, to guide the needle to the correct location. This helps deliver the steroid medication as closely as possible to the aggravated and inflamed nerve root. Once the contrast dye is injected to locate the exact area, the physician will then inject a combination of anesthetic and a long-lasting steroid medication into the epidural space of the lumbar area. At the conclusion of the procedure, a band-aid is placed on the area of the injection. The procedure takes approximately fifteen minutes. Patients typically feel the pain-relieving benefits within a couple of days after the injection. There are currently three types of lumbar epidural steroid injections that can be performed on patients. Interlaminar is the most common approach. This technique involves placing the needle between the lamina and vertebrae in the middle of the back. During this technique, the medication is delivered onto both sides of the spine. During the transforaminal approach, the needle is inserted in the neural foramen at the side of the vertabra, releasing the medication to one side of the spine. This is routinely performed to avoid scar tissue or bone grafts on patients with a previous history of back surgery. The third technique is known as the caudal approach. This involves inserting the needle near the large sacral canal in the area of the tailbone. 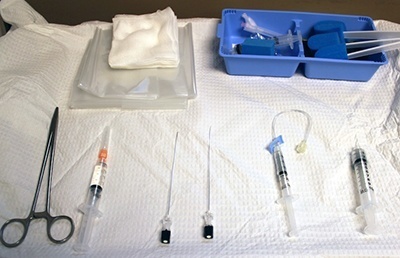 The benefit of this technique is that it allows large amounts of powerful steroid medication to be injected into the epidural space. Clinical research has supported the efficacy of lumbar epidural steroid injections to manage lower back pain. Some of the research has also focused on the potential for lumbar epidural steroid injections to prevent unnecessary back surgery. One study documented in a 2010 edition of Current Sports Medicine Reports revealed that transforaminal lumbar epidural steroid injections “significantly decreased surgical rates” in patients during the one-year follow up investigation. 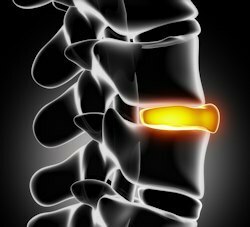 Another study, known as the Spine Patient Outcomes Research Trial (SPORT), compared patients who had lumbar epidural steroid injections for herniated discs to those that did not have the injections. The results of this multicenter study revealed that 56% of the group that received the treatment did not have surgical intervention compared to 19% of the untreated patients. Lumbar epidural steroid injections are considered minimally invasive procedures; however, as with all procedures, there is some risk of complications, which include nerve damage, bleeding, hot flashes, insomnia, elevated blood sugar, and infection. Herniated discs that occur when the disc ruptures or bulges through the outer layer. Spinal stenosis is a narrowing of the spinal canal. Degenerative disc disease is the aging of the intervertebral discs. Spondylolysis is the degenerative process of the spine. Lumbar radiculopathy is pain traveling down the leg associated with spinal nerve compression. Lumbar epidural steroid injections play a key role in a conservative pain management program for lower back pain. Patients that benefit from this procedure have pain relief that will improve function and quality of life without the need for invasive back surgery. Coliman F, Villalobos F. Epidural steroid injections: Evidence and technical aspects. Techniques in Regional Anesthesia and Pain Management. 2010;14;113-119. Collighan N, Gupta E. Epidural steroids. Brit J Anaesth. 2010;109(1):1-5. Friedrich J, harrast M. Lumbar epidural steroid injections: indications, contraindications, risks, and benefits. Current Sports Medicine Reports. 2010;9(1):43-49. Ghai B, Vadajae KS, Wig J, Dhillon MS. Lateral parasagittal veres midline interlaminar lumbar epidural steroid injection for management of low back pain with lumbosacral radicular pain: A double-blind randomized study. Anesth Analg. 2013;117(10):219-227. Manchikanti L, Cash K, McManus C, Damron K, Pampati V, falco F. Lumbar interlaminar epidural injections in central spinal stenosis: Preliminary results of a randomized, double-blind active control trial. Pain Physician. 2012;15:51-63.